The city of Nice is charming, its magical places and the crystal clear waters of the French Riviera are proof of that. With mild and pleasant temperatures throughout the year, the climate of Nice is one of the best in the whole Riviera. Its gastronomy, typically Mediterranean, is so popular that several renowned chefs are trying to sign in the UNESCO list as Intangible Cultural Heritage of Humanity. Also, if we talk about what to see in Nice, we could write a whole book. Keep reading and discover our guide of the capital of the French Riviera. 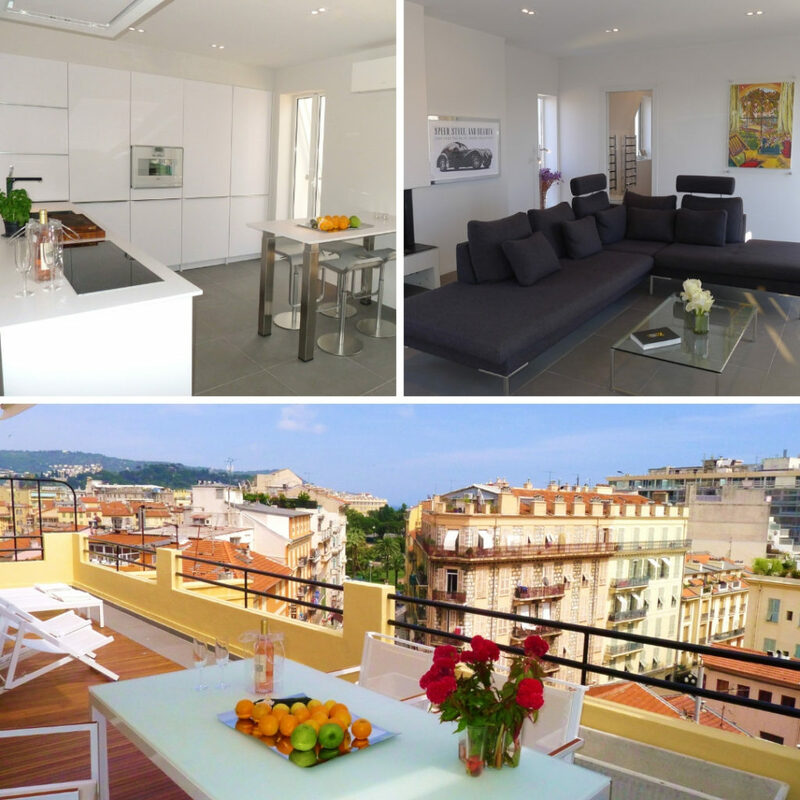 Our accommodations in Nice are one of the answers on what to see in Nice! 1. What to see in Nice? At the foot of the mountain, where the castle is located and separated from the “new” city by the Le Paillon river, the alleys of old Nice remind us of the narrow streets of the Italian villages, with the towels and flower pots stretched on the windows. Its buildings are covered in pastel colours and there’s no chance you won’t love it! 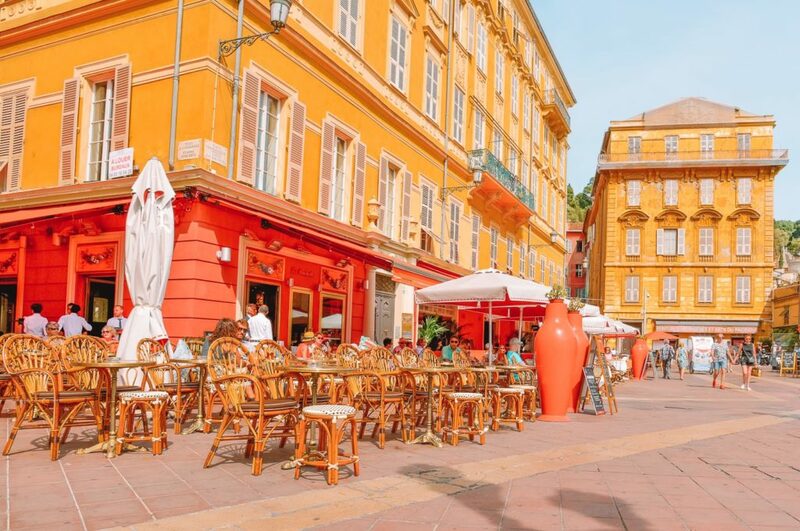 While you walk through the old town of Nice, you will find markets and emblematic places such as the City Hall (Hotel de Ville), the Palace of Justice, the Cathedral of Sainte-Réparate and the Flower Market of Cours Saleya. Keep reading on what to see in Nice! 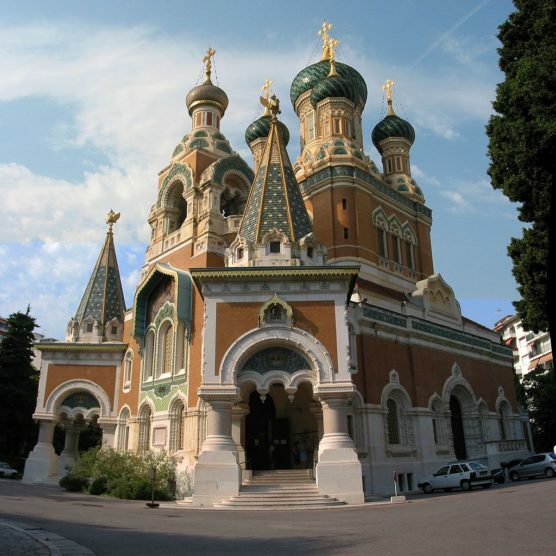 It is located on Cours Saleya street and is one of the major points of interest in Nice. You can visit it from 6:00 in the morning to 5:30 in the afternoon, they are only closed on Mondays, but then a vintage market replaces it. In addition, on Sundays they open half an hour later and close at 1:30 p.m. 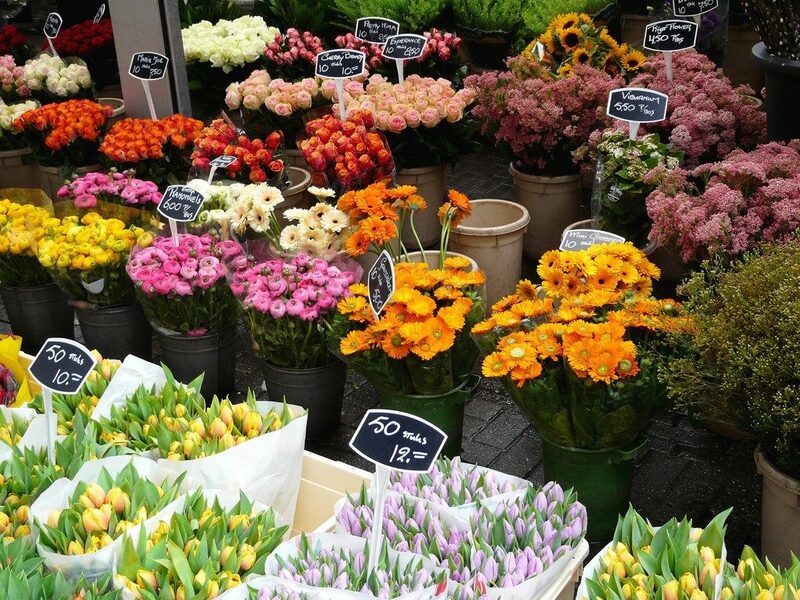 It is worth going to see the geraniums, the roses, to try out the exotic fruits, the vegetables of the area, the cheeses, the bread and much more! There are so many things that you would like to do in Nice! There are some museums and cultural places that should be on the to-do list. For instance, the hotel-museum Le Negresco, which was visited by great personalities such as: Coco Chanel, Ernest Hemingway, Marlene Dietrich, Dalí and Françoise Sagan. It is located on the Paseo de los Ingleses and was built in 1912. It was designed by Édouard-Jean Niermans, who might be familiar to you from the Folies Bergères and the Moulin Rouge. Nowadays, the museum is declared a national historic monument, thanks to its art façade and its interior, which hosts more than 6,000 pieces of art. 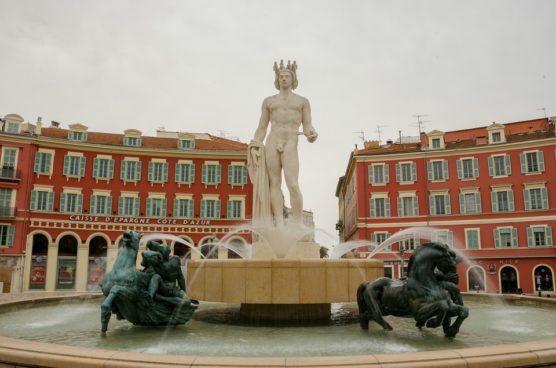 Are you already familiar with what to see in Nice? At the Musée Masséna, which is another important museum in the city, you can learn more about the history of Nice and admire the works of local painters. Inside lies the villa of the same name, which is located on the Paseo de los Ingleses. The Masséna Palace was completed in 1901 and, after the First World War, the descendants of Víctor Masséna donated it to the city on the condition that it was a Museum of Art and History. Other important museums that you shouldn’t miss are: the Marc-Chagall Museum, the Pablo Picasso Museum (in Antibes), the Matisse Museum, the Naif Art Museum and the Museum of Fine Arts among others. What else to do in Nice? Right in the city center, you will find the Masséna Square, adorned with a magnificent monument, a large fountain and large pots. From here, it’s the beginning of Avenue Jean Médecin, where you can spend an afternoon shopping. The square is crossed by the tram line, but the rest is a pedestrian zone. The floor has a grid as if it was a chessboard, the buildings are in red and orange colour and you can choose between several cafes to relax after a morning of sightseeing. If you visit it during nighttime, you will see better the 7 statues of the Catalan artist Jaume Plensa, which are illuminated with bright colors. 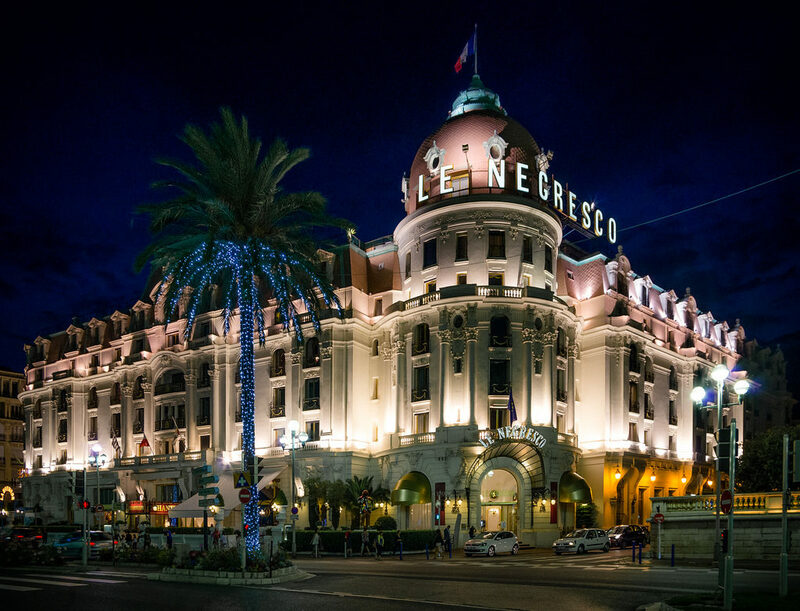 What to see in Nice that we haven’t told you yet? If you go there at Christmas time, you will see a lovely Christmas market, with a huge tree. However, if you have decided to visit Nice in the summertime, go there on the 14th of July (a national holiday), then you will have the opportunity to see the military parade and fireworks. It was built following the order of Tsar Nicholas II in 1912. There was a time when the Russian aristocrats went to Nice on vacation to escape from the cold winter of their country. It is inspired by St. Basil’s Cathedral on Moscow’s Red Square and nowadays is the oldest Russian Orthodox church in the western part of Europe. 2. Where to eat out in Nice? Now that you know what to see in Nice, it is time to satisfy your senses. The cuisine of our beautiful Riviera has something to surprise you with. 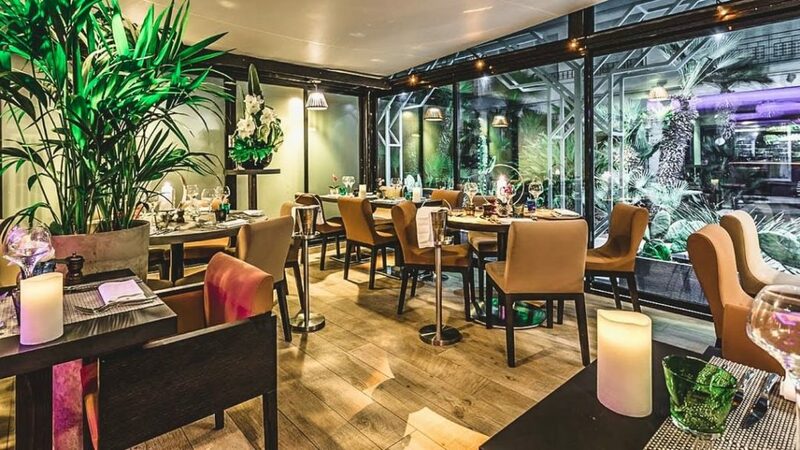 We have found the best restaurants in Nice to treat your taste buds! This unusual and magical place is a must while you are in the city. 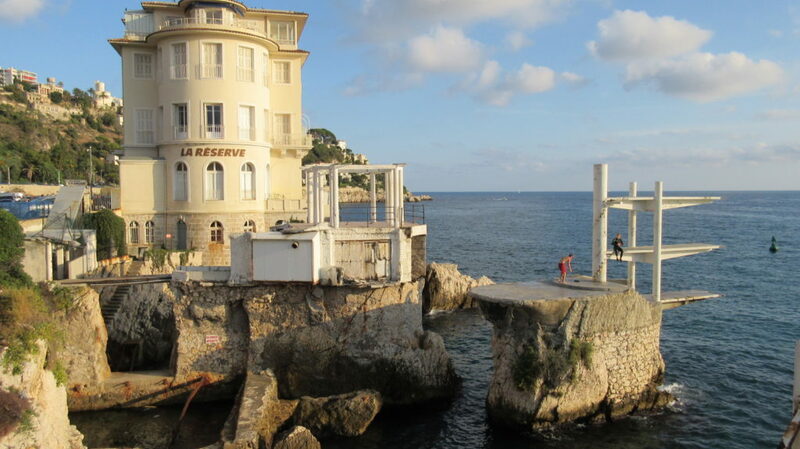 Formerly, this emblematic site of Nice sheltered a boat perched on a rock transformed into a restaurant. In 1942, this unusual place has been restored to become a chic and trendy place. 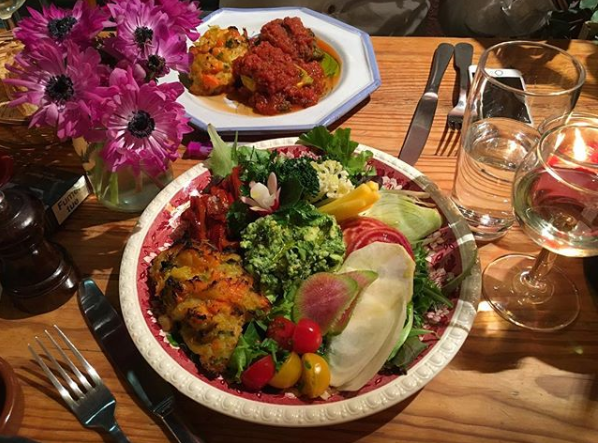 In this restaurant, full of charm and character, you can enjoy a refined dish with flavors of the Mediterranean. The dish prices vary between 28 and 35 euros but it is 100% worth it. Perched on this rock, you will have the impression that you are floating over the sea. Regarding the service, the staff is professional and friendly. ❧ Tip: it is strongly recommended to reserve a table in advance. Open from 10 am to 6 pm every day except Tuesday. Address: 60 Boulevard Franck Pilatte – 06300 Nice. Tel: +44 4 93 26 53 02. 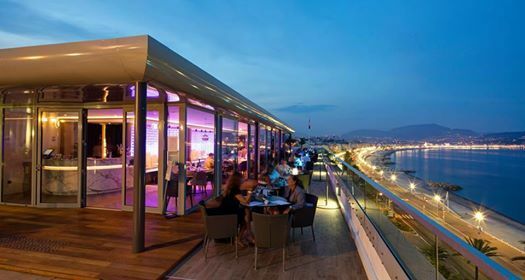 This idyllic restaurant, located on the Promenade des Anglais, offers breathtaking views of the Bay of Angels. While wondering what to see in Nice, you will be able to try a refined traditional cuisine with Mediterranean flavors, composed of fresh products and excellent quality. The restaurant is open every day from 8.30 am right on the seafront, until 22.30 pm for a dinner that will be etched in your memory. The dishes cost between 14 and 45 euros to adapt to all desires. Here is another wonder: one of the most beautiful views of the French Riviera awaits you to rediscover the city of Nice from its best angle. Enjoy a delicious meal while contemplating this breathtaking panoramic view. In this refined design, you will find delicious local cuisine, composed of fresh and seasonal products. The service is fast and efficient, and the dishes cost between 20 and 30 euros. Open every day from 12 pm to 2 pm and from 7 pm to 10 pm. 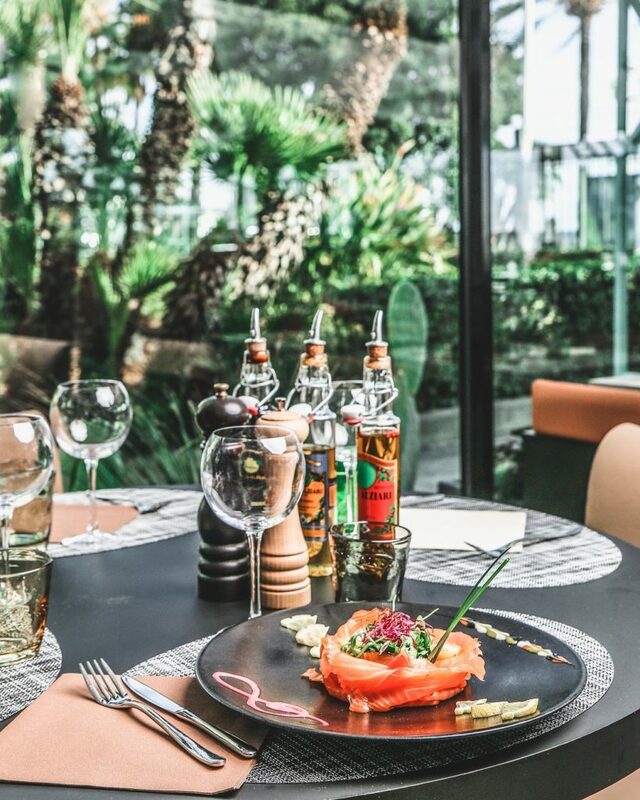 Located in the charming neighborhood of Old Nice, 200 meters from the Castle Hill Park, this restaurant is renowned for its excellent olive oils that almost every dish of the menu is composed by. You will understand that by the name, the ‘’Oliviera’’, is primarily specialized in the creation of olive oils from the four corners of the French Mediterranean. You will be able to feel the passion of the very endearing owner who will make you try from all his variety of olive oils on a slice of bread while you are waiting for your meal. This restaurant guarantees a good time in a warm and friendly atmosphere. The dish prices are between 15 and 24 euros. Open Tuesday to Saturday from 12 pm to 3 pm. Address: 8 Bis rue du Collet 06300 France. Tel: +44 04 93 13 06 45. Close to the Italian border, Nice offers one of the largest numbers of beaches on the French Riviera which are part of the ”what to see in Nice” section. Being the fifth most densely populated city of France, there are many things to do in Nice for people from all walks of life. Thanks to its great location between mountains and the Mediterranean, Nice is also a favourite destination for many tourists all year round with summer being the peak season. 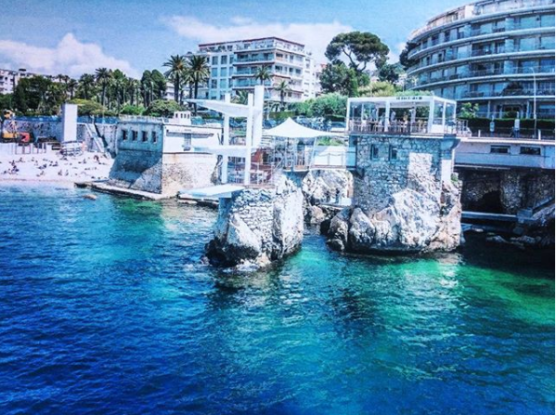 However, while on the French Riviera, you can’t miss the best beaches in Nice and their turquoise waters. La Reserve is a small pebbled and creek beach, located very close to the Old Town of Nice, which is perfect for a lazy afternoon, after a morning of sightseeing with the family. There are no options for buying food, so it’s better if you have a little picnic and grab something delicious from one of the numerous food markets in Nice. However, if you want to try your luck, you can fish your food, as fishing is allowed on this beach. In addition, it’s preferred by locals and also teenagers who use the old diving board to jump straight into the water. 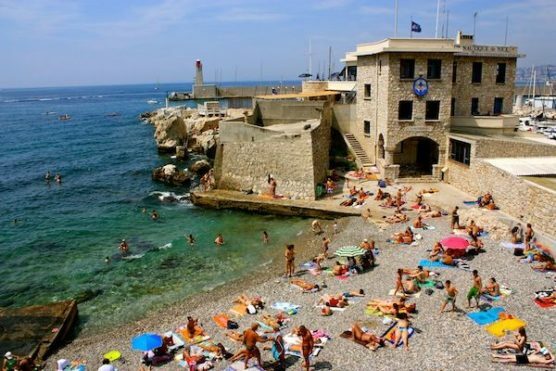 The beach is small so bear in mind that it can get crowded but it’s worth a visit especially due to the views of the Cap de Nice and Mont Boron. You should also take into an account, that there is no lifeguard but there’s a first-aid option on the Coco Beach, which is 100 meters away. It’s also a beautiful public beach you can visit while in the area. Nonetheless, although, La reserve, doesn’t have a lifeguard, there are other facilities such as shower, WC and paid parking. Beau Rivage Beach is one of the most popular beaches both within tourists and locals. ❧ Tip: Come as early as possible in the mornings, so you find yourself a good spot to put your towel. Also, did you know that this is the only beach in Nice with an artificial landscapes sand area? That’s right, it’s also one of the kid’s favourite, as they can entertain themselves by building sandcastles and making different sand shapes. The beach location is also very convenient, as it’s situated next to the open-air theatre. That explains the fact why it can get crowded at peak times. Besides that, if you’ve gotten too much sun, you can always chill in the restaurant or bar area where you can enjoy a tasty gourmet break. 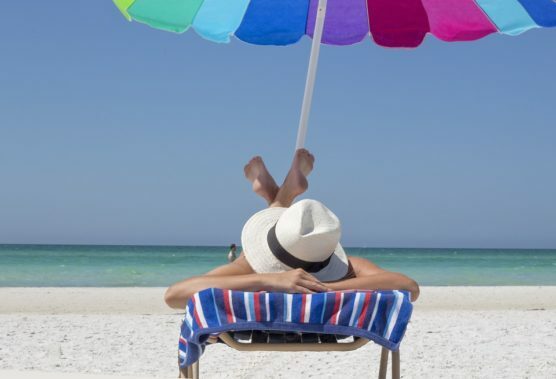 Another option is to move under the umbrellas and lay down on a lounge mattress. Relax is the answer! The Beau Beach offers facilities such as toilets, showers, paid parking but we must warn you that smoking on the beach is forbidden. We, now, move to the west part of Nice, which is relatively less crowded and is preferred by those seeking tranquility and peace. This public stone beach offers everything for a complete day on the beach. There are restaurants where you can relax under a shadow and satisfy your palate as well as showers and toilets. There’s also the possibility to rent a sunbed and in the high season, there’re lifeguards who look after the people. The parking is free, however, it’s recommended to use public transport to avoid any jams that may occur in the rush hours. Moreover, this is one of the few beaches that have ramp access which makes it easier to get around for the people with reduced mobility. This beach is perfect for families and sports enthusiasts who want to combine a relaxed environment with adrenaline. 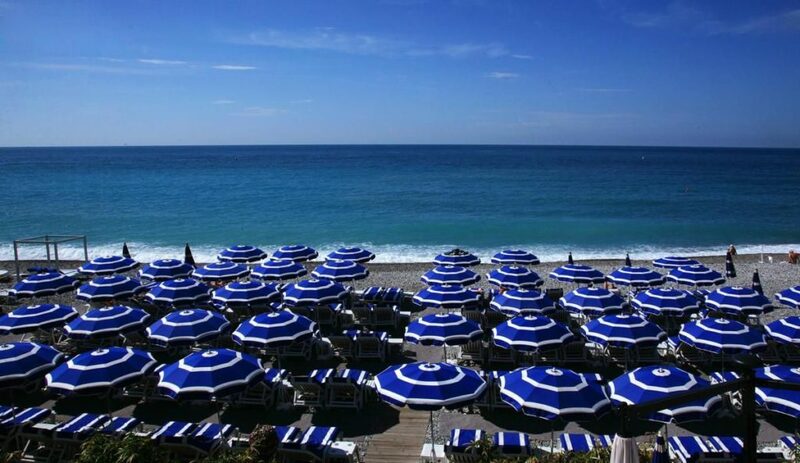 It’s a true gem where tourists can enjoy the sun all day long which makes it one of the best beaches in Nice. Nonetheless, take into an account that there are no restaurants or bars on this beach, so our little piece of advice is to bring some snacks and lots of water (staying hydrated in the summer is important! ), especially if you are going there with children. In addition, so that you don’t skip anything important, we leave you this handy beach checklist. Moreover, this beach in western Nice is big enough, and that makes it less crowded and ideal for relaxation. Apart from the usual facilities such as showers, toilets, free and paid parking lots, lifeguards in summer, Carras Beach has something for sports enthusiasts too. There’s a nautical center that offers jet-ski rentals. If you aren’t into water sports, then why don’t you play some beach volleyball with friends? Yes, Carras Beach has a volleyball court where you can warm up. Let’s get energized! Furthermore, the beach is handicap accessible and it has a designed area for pets. However, pets aren’t allowed outside of this area. If you want a day, full of sun & fun, Carras Beach is one of the best choices of beaches in Nice. 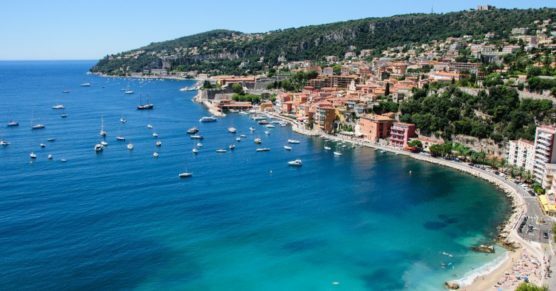 Villefranche-sur-Mer is basically situated in the next town along to Nice and there are a couple of beaches for the ones who want to escape from all the hustle and bustle of the city. In addition, getting there isn’t a headache at all. It’s just 15-minute bus ride from Nice and it’s a scenery journey passing through the French Riviera coast. It has small fine pebbles which are almost reminiscent of sand. However, the waters are so crystal blue that you won’t want to get out of the sea. Swimming, sunbathing, walking around the beach and if hunger gets you halfway, then you can cross the road. There, you will find a good offer of restaurants and ice cream kiosks to refresh yourselves from the heat. 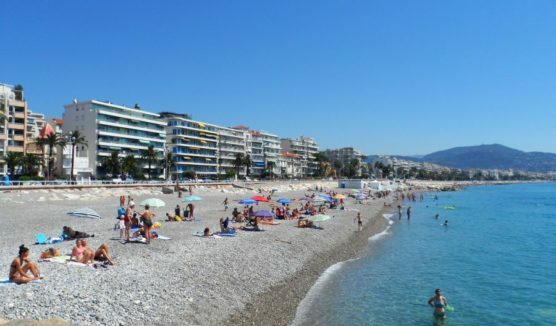 These were our suggestions on the best beaches in Nice where you can enjoy your summer. We hope this is a good answer to the question of what to see in Nice. Did we manage to convince you to go there and see for yourself? Well, we can reassure that with these suggestions, you and your family will have a great time together. 4. 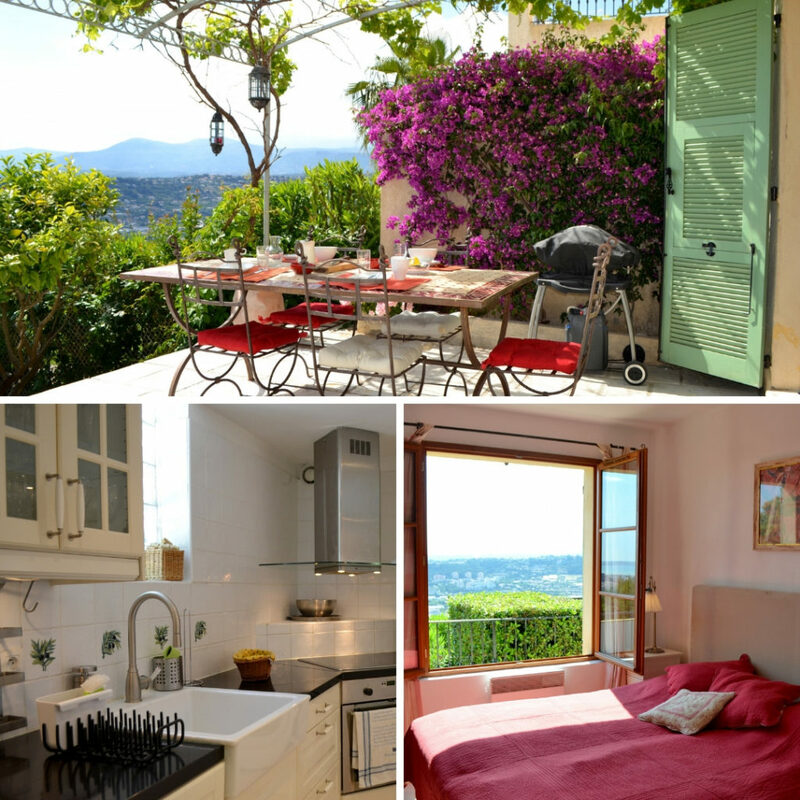 Where to stay in Nice? 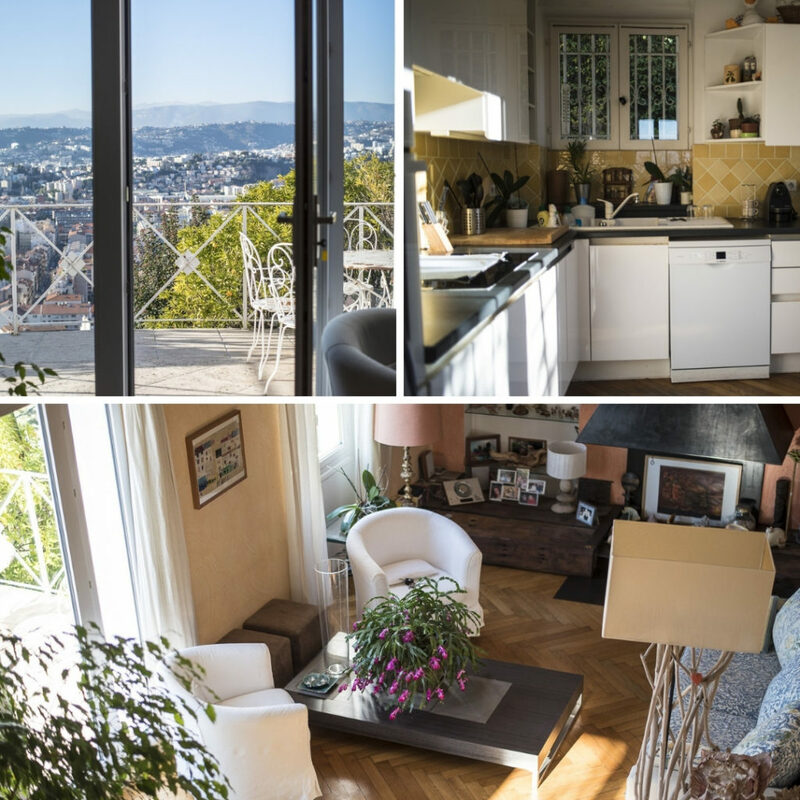 Looking for an apartment in Nice where the entire family can stay? Say no more! This apartment can accommodate up to six people. It has two spacious bedrooms and two bathrooms. It is located in a quiet neighborhood, and is therefore perfect for a family holiday. But that’s not the nicest thing about this accommodation. What about a romantic getaway with your loved one? 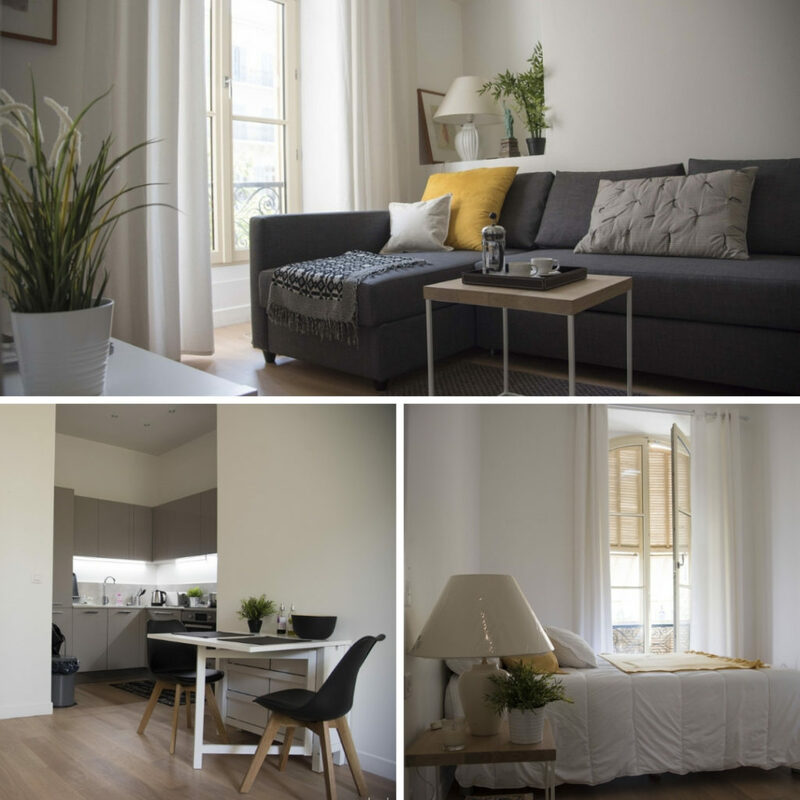 This modern furnished apartment for two people, is ideal for a city trip. Here, you can relax after a long day in the sun (because there is, fortunately, air conditioning!). This apartment is located in the city center and features a fully equipped kitchen. On top of that, it is situated within walking distance from the sea. This villa has everything and a perfect holiday with your friends is promised! This villa offers space for 7 people and has 4 spacious bedrooms. It is fully equipped, it has air conditioning and even a fireplace. Outside you have a spacious terrace with a barbecue, where you can enjoy a beautiful view and read our travel guide on what to see in Nice (hehe). And that’s not all: you can also take a refreshing dip in the swimming pool! Everything is nice in Nice! What to see in Nice? Obviously one of the things is one of its beaches as you already know. Therefore, you can stay near the beach in this fully equipped apartment for four people with two bedrooms. It features a spacious balcony exposed in the sun, and it is located in less than 300 meters away from the sea! Ideal for family or friends and you can even prepare your own meals in its beautiful American-style kitchen. 🍳 Bon Appetit!